Observing bats emerge from their roosts is one of the most exciting encounters that nature has to offer. Texas happens to be the perfect place to capture the seemingly choreographed exodus. Here are a few. Viewing times are best by early August through about mid-November when they migrate to Mexico for the winter. 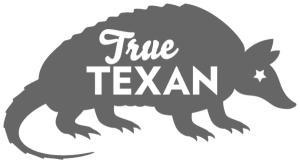 Find more bat watching information from Texas Parks and Wildlife. With more than 15 million Mexican free-tail bats calling this home, Bracken Cave holds the record for having the largest bat colony and greatest concentration of mammals in the world. 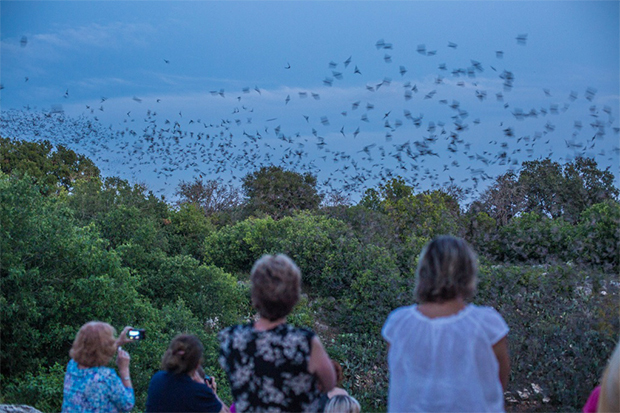 The public can take tours on Bat Conservation International members can take tours during the summer and the public offers tours at Bracken Cave to members during the simmer and public tours on select nights. This preserve is one of the largest bat habitats in the country. It holds 4 to 6 million female Mexican free-tailed bats that inhabit this site from May through September. The bats form a “bat-tornado” formation as they emerge. The free is $5 per person and free for children ages 5 and under. Reservations are not required unless it is a special group reservation. On its own merits, the Devil’s Sinkhole is the largest single-chambered cavern and the third deepest in the state. This makes it a perfect home for more than 3 million Mexican free-tailed bats that can be viewed from May through October as they make their nightly runs. While the bats are away, 3,000-4,000 cave swallows sublet the space. Viewing cost is $12 for adults, $10 for senior adults, $6 for children 4 to 11, and free for children under 4. Reservations must be made in advance. The Old Tunnel State Park holds up to 3 million Mexican free-tailed bats and 1,000 to 3,000 cave myotis bats from May to October. The upper viewing area is free, lower viewing area is open Thursday through Sunday evening with a $5 fee regardless of age. Children that are age 3 and under are not allowed at low viewing area. Reservations are only accepted for special group tours on Monday through Wednesday evenings. Austin’s Ann W. Richards Congress Avenue Bridge hosts the largest urban bat colony in the world – about 1.5 million Mexican free-tailed bats. More than 100,000 people flock to the bridge each year to witness this maternity colony of Mexican free-tailed bats emerge nightly to consume up to 20,000 pounds of insects. That feeding schedule helps raise the estimated 750,000 pups born here each year. The viewing is free from the bridge and the Austin American-Statesman’s Bat Observation Area on the southeast side of Congress Avenue. Bat cruises, available through Lone Star Riverboats and Capital Cruises, are also offered nightly from March through October for a fee. This cave is home to about 1 million Mexican free-tailed bats. This location also provides picnic sites, camping, mountain biking, sites of wildlife, and more. The bat viewing time is usually mid-March through the end of October. The park entry fee is $3 for ages 13 and up, ages 12 and under are free. Reservations are not required but groups may want to make advance arrangements. This abandoned 1920s Fort Worth and Denver Railway tunnel is not only in the National Register of Historic Places, but it’s also home of up to 500,000 Mexican free-tailed bats. Take the 1.5-hour tour on Friday evenings through September. Cost is $10 with advance reservations required. This bridge has an estimated 250,000 Mexican free-tailed bats. The highest bat population is August through September. There are also “Bat Chats” that occur at the bridge on Friday nights from March through October. Arrive 30 minutes before the sunset to hear a batty Q and A presentation. Viewing is free from the platform, bridge, or sidewalk, no reservations are needed. The Waugh Bat Colony Tours require a reservation and fee. To reserve seats on the Waugh Bat Colony Boat Tours, please contact Buffalo Bayou Partnership. This bridge is known to have approximately 100,000 Mexican free-tailed bats. Visitors are welcome to enjoy the view from park benches or on grassy greenspace along Bayou. The fee is free and reservations are not needed. From April through October, the more than 50,000 male Mexican free-tailed bats can be seen under the Interstate 35 Bridge, where it crosses the San Antonio River near Camden street.